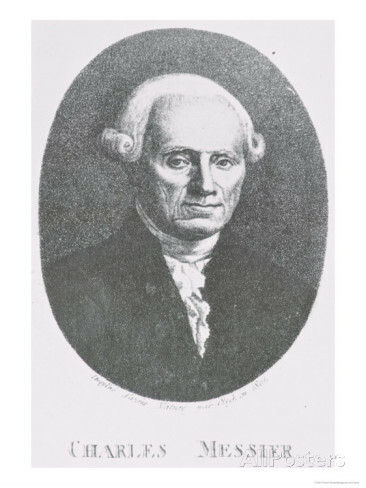 Stemming from an idea made by one the Society’s well established members, this session will be based on a series of short presentations from members of the Society about the lives and contributions of famous astronomers. If planetary observing is the favourite pastime of our members, Lunar Observing runs it a close second. We’ll cover all aspects of lunar observing, from phases and libration, to crater formation and tidal locking. And we’ll take another look at taking photos of the moon using anything from an i-Phone to the latest video cameras now available. Since it’s the time of year when because of long day lengths we can’t really do astronomy, this is your chance to show off your best astro-images taken during the last twelve months. Last year’s exhibition was a major success and with more and more people doing Astro-imaging we can look forward to another high quality evening. The Perseid meteor shower will reach its maximum rate of activity on Monday, 12th August 2019. Some shooting stars associated with the shower are expected to be visible each night from 23rd July to 20th August. The maximum rate of meteors expected to be visible from a dark location is around 80 per hour. That said, the Moon will be 12 days old at the time of peak activity, and being so close to Full Moon will severely limit the observations that will be possible. Nevertheless let’s hope for better weather than last year, when it poured with rain! Some believe that nebulae are the most beautiful objects in the sky. 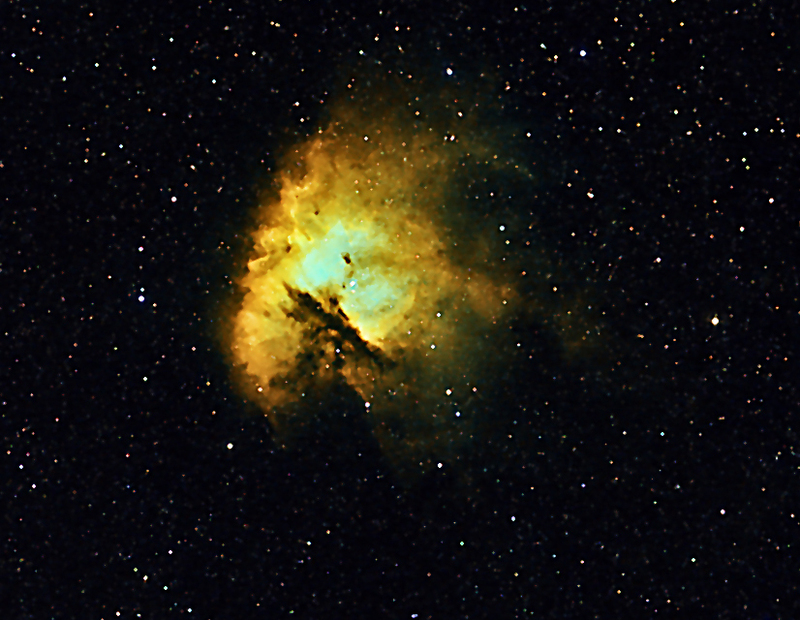 We shall cover the various types of nebulae that exist, provide tips for suitable targets for beginners up to advanced imagers and discuss how best to image them. As the evenings draw in again, it’s time to get some serious observation and photography in! And how better than another Field Astronomy Session that will be held at Woodrow around the society’s scope – weather permitting of course. Bring your own scope and not only show our visitors some of those Summer and Autumn highlights, but get the opportunity to see other peoples’ kit and some new products. But if the weather is against us we have a session about Live Stacking and observing star clusters and galaxies – this will complement last month’s session on observing nebulae. It’s your favourite topic this month – observing planets. And we have a rare opportunity on the 11th this month to observe a transit of Mercury. So there will be plenty of guidance on how to observe it and capture it with a camera. Another Field Astronomy evening if whether permits, so we’ll be up at Woodrow with our scopes and hopefully lots of visitors. Otherwise we’ll re-visit the complex but rewarding business of image processing. Taking the picture is challenging enough, but getting the best out of the pictures you’ve taken can take as long and is just as challenging. But not impossible and indeed it is even possible to make a silk purse out of a sow’s ear! Whilst Messier’s 110 objects provide plenty of interest, there are a whole pile of other objects out there to observe. Patrick Moore’s Caldwell Objects, for example, provide new viewing opportunities (and challenges). If we’re lucky with the weather, this Field Astronomy Session will be held at Woodrow around the society’s scope. Bring your own, of course, and not only show our visitors some of those Spring highlights, but get the opportunity to see other peoples’ kit and some new products. But if the weather is against us we have a session about those tricky but essential aspects of telescope management, collimation and polar alignment. We shall also look at some of those handset sub-menus – Precise Go-To for example. To kick the year off a session on a new area for us – spectroscopy. Dr Lee Sproats is coming along to talk to us; now with David Hinds/Baader UK, he will be demonstrating a complete Baader DADOS spectroscopy kit to us - what it is, how it works, what the different ports and knobs are for, and how to use them. He will then cover how DADOS can be attached to a telescope and how to set it up to get spectra and how the spectra data are reduced. If the sky is clear he will attempt to take spectra of a couple of stars. If the sky is cloudy he will take spectra of internal lights and also get some raw spectral data and calibration files and then go through the data reduction. Now for cool part (though some call it the Dark Art!) of processing those astro-images you’ve so carefully and painstakingly taken. For this you’ll need your image files and your computer. You’ll need to have some stacking software on your computer (we shall be demonstrating Deep Sky Stacker). Also we shall be using Adobe Photoshop so you need to have that on your machine as well. We’ll be covering the Levels and Curves routines to bring out the detail of those images and showing you a couple of sharpening techniques to improve those images even further. If you haven’t managed to capture images at this stage we’ll have a few we prepared earlier for you to work with. We may even have time to delve into PixInsight. Plus our regular items – planetary round-up, Cullen Objects and a Book of the Month. ** Please note, we are currently expecting to hold the practical meeting at the Woodrow Observatory. For further information please refer to member emails. As the evenings draw in again, it’s time to get some serious observation and photography in! Now is the time to make sure your scope is in good condition and we’ll run through some of the key steps to get the most out of your instrument. But whenever we come to talk about this, we tend to skim past collimations and polar alignment till right at the end. So we’ve decided to make them a topic in their own right. We’ll talk about tools that can be used for this and software solutions too. Plus our regular items – planetary round-up, Cullen Objects and a Book of the Month. We’ll try and combine two topics in this session. Many members do not have scopes but they do have binoculars. We’ll cover the different designs and demonstrate how to use them. And we may be able to see Comet 21P/Giacobini-Zinner which reaches closest approach on the night of 10th/11th September, after which it rises after midnight. Plus our regular items – planetary round-up, Cullen Objects and a Book of the Month. Since it’s the time of year when because of long day lengths we can’t really do astronomy, this is your chance to show off your best astro-images taken during the last twelve months. Last year’s exhibition was a major success and resulted in the first WAS Calendar being produced. Plus our regular items – planetary round-up, Cullen Objects and a Book of the Month. We’ll cover the practical and safety aspects of solar viewing and imaging. And, of course we’ll have our regular items – planetary round-up, Cullen Objects and a Book of the Month. Something absolutely new for us this month as we venture into the realms of Radio Astronomy! And we aim to actually build a radio telescope for use later in the year. We’ll also have our regular items – planetary round-up, Cullen Objects and a Book of the Month. If planetary observing is the favourite pastime of our members, Lunar Observing runs it a close second. 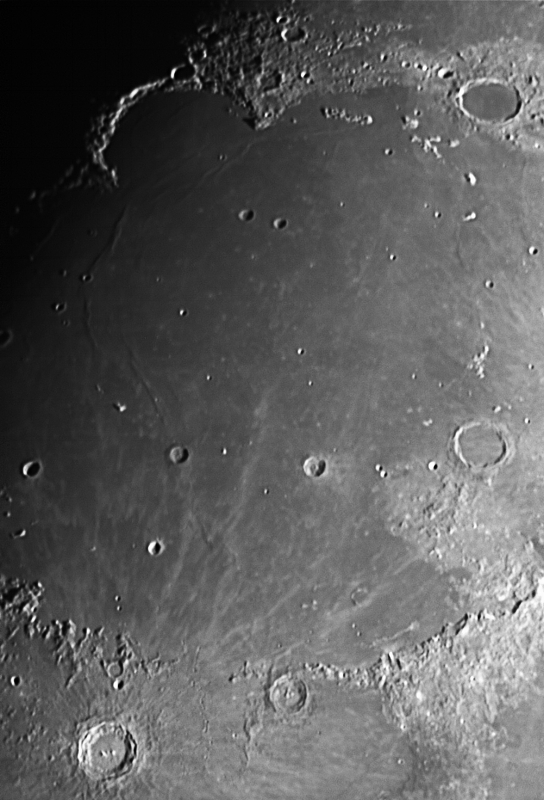 We’ll cover all aspects of lunar observing, from phases to libration, crater formation and tidal locking. And if there are any queries following last month’s session on Planetary imaging with webcams, we can cover some of that ground again. We’ll also have our regular items – planetary round-up, Cullen Objects and a Book of the Month. The Society’s favourite topic according to the last Questionnaire we carried out! We’ll cover what to observe with each of the planets and we’ll discuss how to image the planets with webcams and software. We’ll also have our regular items – planetary round-up, Cullen Objects and a Book of the Month. Learn about the different types of double star and also multiple stars. You’ll need to make sure your scope is in tip-top condition so that you can work at high magnification and resolve those close together ones. We’ll also have our regular items – planetary round-up, Cullen Objects and a Book of the Month. To kick the year off a session primarily aimed at our newer members (but experienced members will also learn a thing or two!) and all about using the constellations and key stars as celestial signposts to those exciting astronomical objects we all like looking at. We’ll also have our regular items – planetary round-up, Cullen Objects and a Book of the Month. Now for the cool part (though some call it the Dark Art!) of processing those astro-images you’ve so carefully and painstakingly taken. For this you’ll need your image files and your computer. You’ll need to have some stacking software on your computer (we shall be demonstrating Deep Sky Stacker). Also we shall be using Adobe Photoshop so you need to have that on your machine as well. We’ll be covering the Levels and Curves routines to bring out the detail of those images and showing you a couple of sharpening techniques to improve those images even further. If you haven’t managed to capture images at this stage we’ll have a few we prepared earlier for you to work with. Plus our regular items – planetary round-up, Cullen Objects and a Book of the Month. Now for the cool part (though some call it the Dark Art!) of processing those astro-images you’ve so carefully and painstakingly taken. For this you’ll need your image files and your computer. You’ll need to have some stacking software on your computer (we shall be demonstrating Deep Sky Stacker). Also we shall be using Adobe Photoshop so you need to have that on your machine as well. We’ll be covering the Levels and Curves routines to bring out the detail of those images and showing you a couple of sharpening techniques to improve those images even further. If you haven’t managed to capture images at this stage we’ll have a few we prepared earlier for you to work with. Plus our regular items – planetary round-up, Cullen Objects and a Book of the Month. It’s clear that a number of our members are at the stage they’d like to dip their toes into the complex business of astrophotography. But even getting to the stage of attaching a camera to your scope can be daunting. It isn’t, and we’ll show you how. And hopefully we’ll be able to take some sort of image on the night. You’ll need to bring scopes and cameras (whether they’re CCDs or DSLRs, or even you smart phones!). Plus our regular items – planetary round-up, Cullen Objects and a Book of the Month. There has been quite some demand for this session! 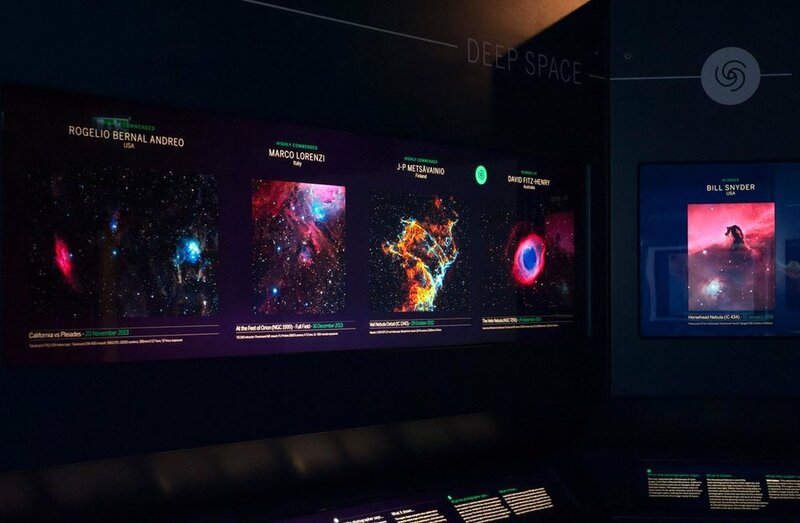 We shall learn how to drive a GoTo telescope via a computer and will also be discussing astrophotography. Plus our regular items – planetary round-up, Cullen Objects and a Book of the Month. As the evenings draw in again, it’s time to get some serious observation and photography in! Now is the time to make sure your scope is in good condition and we’ll run through some of the key steps to get the most out of your instrument. Plus our regular items – planetary round-up, Cullen Objects and a Book of the Month. Your chance to show off your best astroimages taken in the last twelve months. Plus our regular items – planetary round-up, Cullen Objects and a Book of the Month. The last time we ran a session like this was in 2013 and proved very popular. We shall invite astronomical questions from members of the Society and ask a carefully selected panel to answer them. There is probably still time for you to book a ticket to the USA to witness the total eclipse which will take place on 21st August 2017 and will be visible in a band right across the United States – the last time that happened was before their Independence! We’ll only see a partial eclipse here in the UK and then not all of it because the sun will set before it is complete. We’ll cover the practical and safety aspects of solar viewing and imaging. And, of course we’ll have our regular items – planetary round-up, Cullen Objects and a Book of the Month. A session primarily aimed at our newer members (but experienced members will also learn a thing or two!) and all about using the constellations and key stars as celestial signposts to those exciting astronomical objects we all like looking at. We’ll also have our regular items – planetary round-up, Cullen Objects and a Book of the Month. This is the time of year where in one night you can see almost all the Messier Objects. We’ll run through some of them and if we’re lucky with the weather even see some of them. As an aside, we shall also be covering the planet Mercury – the best chance to observe this planet will be between the middle of March until the end of the first week of April, for it will set around 20.00 UT (21.00 BST). The best dates for this will be from the 29th March to the 1st April, because in the same region will be Mars and the young crescent New Moon. We’ll also have our regular items – planetary round-up, Cullen Objects and a Book of the Month. Coming up on 10th/11th February there will be a Penumbral Eclipse of the Moon. There are three kinds of lunar eclipses: total, partial and penumbral. A penumbral eclipse is very subtle. At no time does a dark bite appear to be taken out of the moon. Instead, at mid-eclipse, observant people will notice a shading on the moon’s face. They might say the moon looks strange. Others will notice nothing at all. We’ll use this as a background to discuss webcam imaging and processing. We’ll also have our regular items – planetary round-up, Cullen Objects and a Book of the Month. A chance for everyone to show off their scopes and equipment. New members are particularly welcome, especially if they just obtained a scope and need help in setting it up. Now for cool part (though some call it the Dark Art!) 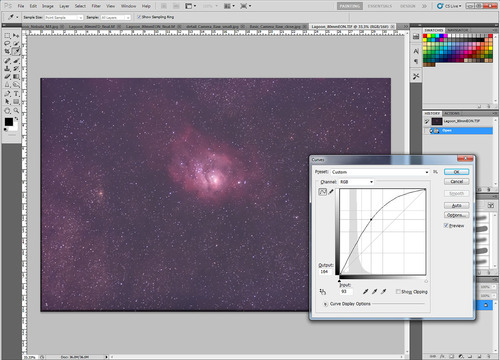 of processing those astro-images you’ve so carefully and painstakingly taken. For this you’ll need your image files and your computer. You’ll need to have some stacking software on your computer (we shall be demonstrating Deep Sky Stacker). Also we shall be using Adobe Photoshop so you need to have that on your machine as well. We’ll be covering the Levels and Curves routines to bring out the detail of those images and showing you a couple of sharpening techniques to improve those images even further. If you haven’t managed to capture images at this stage we’ll have a few we prepared earlier for you to work with. And of course we shall have our regular slots for Rowland Objects, Images and Books of the month. As the viewing season gets going again, let’s look at making sure our scopes are in tip-top condition and remind ourselves how best to set them up. We’ll also take a look at those handset sub-menus (for example Precise GoTo). And of course we shall have our regular slots for Rowland Objects, Images and Books of the month.